Discover the special code in your astrology birth chart that will empower you to shed poverty consciousness, reclaim your inner power and finally create limitless Abundance! Don’t you wish you knew the secret to manifesting prosperity? Did you know that your astrology birth chart reveals a powerful secret about how you personally attract wealth? You see, each one of us is unique. And that means we each have a special way of attracting abundance. No one does it the same way! So I’m really excited to share that I’ve designed a NEW exploration into your personal Jupiter code! Jupiter is the planet describing the traits and qualities natural to YOU – inner gifts you must utilize – to be a powerful prosperity and money magnet. And this roadmap is designed to reveal all the ways in which you NATURALLY and EASILY manifest the greatest abundance and wealth. You were born with Jupiter in a unique sign and in a unique astrological house. Altogether there are three Jupiter sectors located in your astrology birth chart, and they describe how you personally activate fortunate events, create wealth and generate opportunities for success. Taken together your 3 Jupiter sectors make up Your Jupiter Wealth Code. Now you can find out what Your Jupiter Wealth Code is, what it means, and how you can activate it to manifest prosperity in your life! Jupiter is calling. How are you going to respond? You may not realize this, but you have an innate, NATURAL ability to easily create abundance. And experience the exhilarating freedom that comes being in control of your Destiny! How is YOUR Jupiter Wealth Code affecting your current career? And how to best to showcase your products and services to customers and followers? For years, I’ve specialized in spotting this secret Astro-Numerology Jupiter Wealth Code for my VIP clients, helping them change the way in which they manifest money, wealth and abundance in their lives and their businesses. And I’m talking from stay-at-home entrepreneurs to Fortune 500 companies. The reason I’m so excited today is because, along with my team, I have figured out a way to make this powerful information available to you in a brand new report specifically focused on your wealth attraction qualities as revealed in Jupiter’s unique placement in your astrology birth chart. You give me your birthday information and then I’ll go in and create your astrology birth chart. Your Jupiter Wealth Code doesn’t change – it is active for you ALL life long - a permanent profile of your soul’s natural instinct and drive to manifest and master abundance. All your personal wealth traits – these are totally unique to you. I’ll talk about your traits in great detail. Your Jupiter Wealth Code qualities are powerful calls to action, and you MUST know what yours are in order to know how to frame your abundance goals for maximum success. Which of your inner gifts must be activated in your career and life in order for your financials to flow. This piece of information alone is a critical part of your abundance success formula! The “shadow side” of your Jupiter Sign… This is highly valuable information pointing out what tendencies sabotage wealth creation for you. All successful people understand that FEEDBACK is one of the essential ingredients to fulfilling your goals and dreams with speed and confidence. Without feedback, you have no direction, because you don’t know what works well and what doesn’t. This lack of feedback ends up derailing many a person’s best-laid plans. Now, finally a simple, straight-forward, uplifting and practical roadmap will remove your frustrations and blocks and replace them with a wealth of opportunity! Your Jupiter SIGN gives you major insights on how you manifest wealth by revealing how you assimilate new ideas, people and your passion. Your Jupiter HOUSE describes specific environmental factors that play a key role in what makes you most comfortable in your wealth zone. 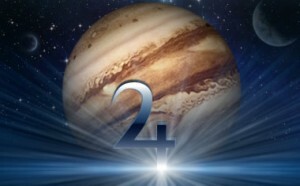 And the third "mystery" Jupiter zone will take you to the next level in understanding Your Jupiter Wealth Code! I’ll also send you your Astrology Birth Chart and tell you where your natal Jupiter is located. Your Jupiter Wealth Code blueprint and recordings are designed to trigger a deep primal desire in you to re-awaken knowledge already living within you. You are a Being of Light! You just need to remember how powerful you are. And your personal Jupiter code will tell you! You’ll be amazed reading and listening to your wealth code… and how much it will uplift and motivate you. 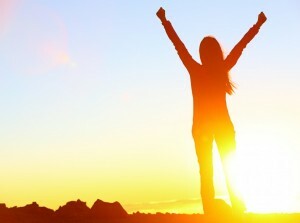 Your heart will open up to enthusiastically embrace new realms of abundance creation, prosperity and wealth. PLUS, you are also entitled to the following bonuses ! You'll already have your Jupiter blueprint, and now you can listen to the fortunate opportunities described by your Jupiter sign in this downloadable mp3. Positive Inspiration on the go! Listen to what your Jupiter house placement means anytime, anywhere. When this area is in "flow", your abundance expands naturally! However, you can get yours for the discounted price of $97.00 for a limited time. FIRST 100 Orders Receive An ADDITIONAL Discount ! YES! I want to begin the journey into my Jupiter Wealth Code. I understand the $65.97 price is only available for the first 100 people to purchase. I understand the $77.00 price is only available until September 15. I understand the $97.00 price is available NOW, and might increase at any time. Since I create these blueprints on a one-by-one basis and I will be personally looking for Jupiter’s placement and code in your astrology chart plus giving you the bonus recordings, please allow up to 5-7 days for delivery. 1. Your Jupiter Wealth Code takes the mystery out of money manifestation! Take your clues from your Jupiter code on how to rely on inner resources you have right now. 2. You will receive the special Bonus: two powerful digital audio recordings created by Tania, with all your personal money-making activation explained in great detail, and can access them anytime you want. 3. Wealth of ALL kinds emanates from generous, optimistic Jupiter. You’ll know how to apply these wealth creation tools across every spectrum of your life! The sooner you discover Your Jupiter Wealth Code, the FASTER you’ll learn your personal secrets to creating real, long-lasting wealth. Imagine having financial freedom! Financial independence! Financial stability! Discover Your Jupiter Wealth Code secrets now. I look forward to creating your Jupiter Wealth Code for you! P.S. An inner doorway opens up the moment you go on the spiritual quest to understand and implement your unique Jupiter Wealth Code roadmap. Once you make the decision to evolve and welcome abundance, the purpose of your soul’s journey on Earth becomes crystal clear! Because you are a loyal subscriber of my newsletter “Astro-Numerology Insights”, you are seeing this Subscribers Only Offer, which gives you access for the discounted price of only $177. On March 11 the price WILL go up to $199.00, when I release the “Secret Power of Your Name” program to the General Public, so make sure to register now.